The adult moths of this species have brown and bronze patterned forewings, each with two touching white spots near the middle of the wing. 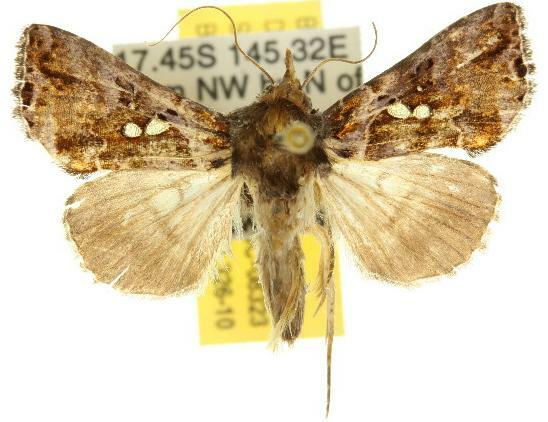 The hindwings are pale brown fading to off-white at the bases. The wingspan is about 3 cms. Series 9, Volume 8 (1921), pp. 25-26, No. 22, and also Plate 4, fig 2. Volume 57 (1933), pp. 163-164.